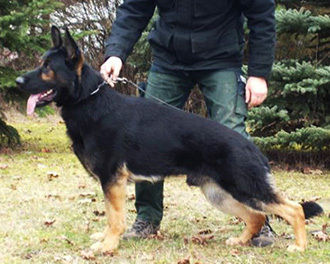 An impressive and heavily boned male, Gerry is a substantial bicolor /black and tan male with large, masculine head typical of the East German / DDR Dogs. 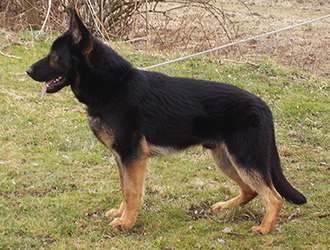 100% East German Pedigree. 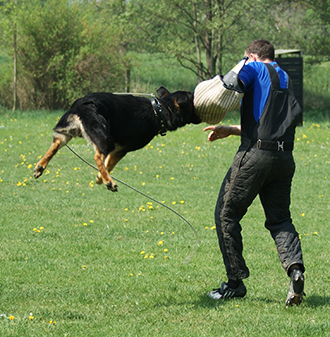 Strong and full grips to the sleeve, he loves the work and performs the task with speed and good energy. His tracking skills are very strong, with this being one of the reasons we were so interested in bringing Gerry over to the States. 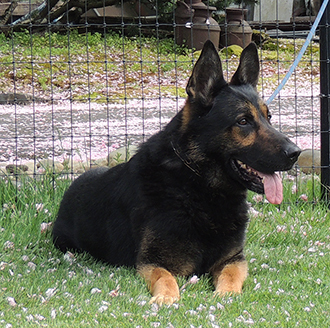 Gerry has sired two very good litters in Germany before being imported for our kennel. 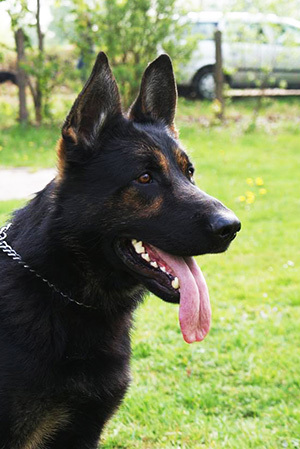 His pups are beautifully structured with strong bone. Deep pigment coloration of coats has been outstanding in his pups, as well as the gorgeous head type that he passes along into his offspring. 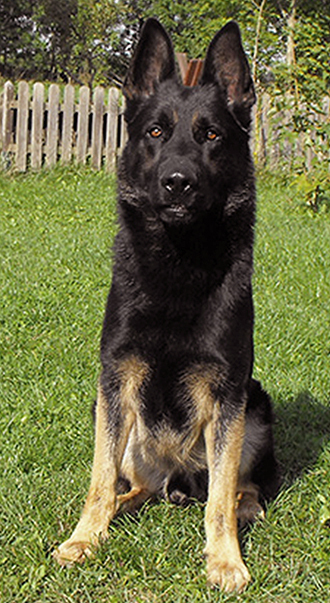 He crosses well with East German, Czech and Slovak dogs for producing not only very sound home companion and protection dogs, but excellent competition dogs and Police working dogs for Narcotics and Apprehension work. 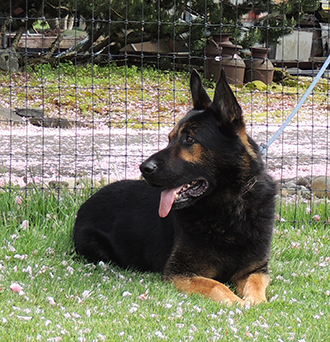 His temperament is outgoing, stable and friendly. Gerry 's scores were 96's- 100's in his tracking work, and he is pronounced in Protection. 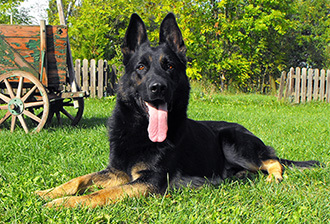 A very nice dog to be around, he is warm and fun loving, always ready and willing to do whatever you ask of him. 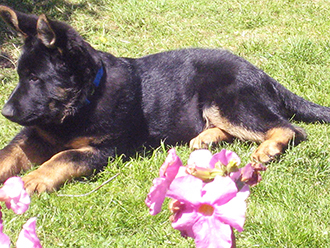 We anticipate many excellent litters for our kennel from this outstanding male. 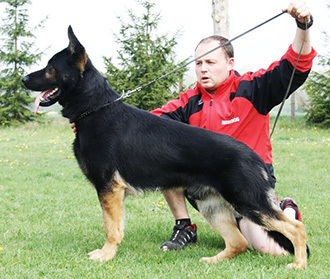 Gerry's Sire, Uncas vom Poppitz, has consistently been a top producer in Germany for a combination of outstanding working ability and strong temperament. 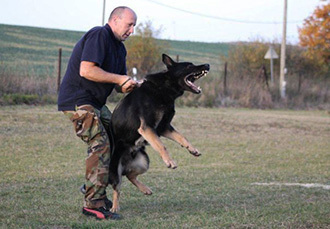 In addition to the excellent bloodlines Gerry inherits from his sire line, he inherits the incredible and well known protection and tracking abilities from the great DDR sire, Lord vom Gleisdreieck. 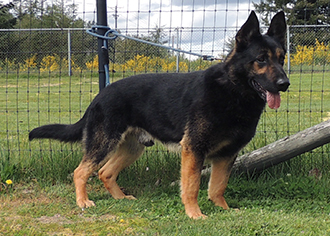 We've long admired the bloodlines of Lord vom Gleisdreieck, observing the strong tracking and protection qualities that he imparts to his progeny. "Lord" was a top producing male who was renowned for imparting excellent working drives into his offspring, and was one of the finest producers of sound hips (producing good-excellent hips with around 98.5% success rate). Lord got his SchH1 title with a perfect score of 300 points. Out of his first 19 trials, he scored 15 perfect 100's in tracking. His lowest tracking score was 97! 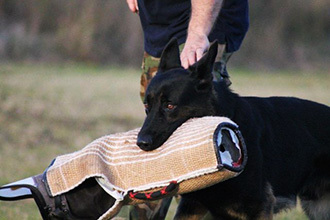 SCHH3, IP3 SG Nestor von den Gnitzer Höhen, SCHH3, FH1 V Zorro vom Laager Wall, SCHH3 SG Lissy vom Haus Iris, SCHH3 SG Gabi von der alten Wassermühle, SCHH3, PSH1 V Alf vom Körnersee, and SCHH3 V Sven vom Gräfental.